Egg Films is the highest ranked South African production company in the official Loerie Awards rankings for 2015, released yesterday. 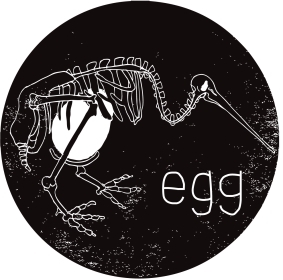 Egg Films director Terence Neale is the second ranked South African director, while Rozanne Rocha-Gray and Julia Schnurr are fourth and eighth respectively in the producing category. Egg’s sister company, Arcade, also features prominently after launching a year ago today. Arcade director Rob Smith is the third top South African director and fifth top editor, while producer William Nicholson is fifth overall. Arcade, who specialise in brand films and music videos, were pleasantly surprised to discover that they’re apparently the top animation company in the country. “We didn’t even know we were animators but hey, thanks anyway,” says Will, who also pointed out that Rob was incorrectly credited as the sixth top DOP, even though Frances Kroon actually shot One Rand Man and deserved the accolade. Egg and Arcade were also among the winners at the recent African Cristal Festival in Marrakech. Egg director Terence Neale won Silver for his Chicken Licken The Great Dlamini ad for Net#work BBDO, while Arcade’s Rob Smith directed Johnnie Walker The Gentleman’s Wager, which won King James a Gold for Integrated Campaign and Silver for interactive video. For more information, visit http://eggfilms.tv and http://arcadecontent.tv.